Cupertino is ready to give a big tax break to video services that are sold via the App Store. Apple is lowering the cut it takes from selling video streaming subscriptions down from 30 percent to 15 percent, according to Bloomberg. This is Apple’s latest move to try to get video partners for the launch of its new TV app for discovering content on the Apple TV. Previously, Apple has hit major roadblocks while negotiating with networks over the price of offering a mini-bundled TV package. According to Bloomberg, some video partners already pay the 15 percent cut, but now Apple is extending the rate to all video services on the App Store as long as they’re integrated into the TV app. In addition, non-video subscription services could see the 15 percent reduced fee after the customer has completed paying a yearlong subscription. The report did not specify whether music streaming services like Spotify, Tidal, and Google Play Music will qualify for the reduced fee. Apple’s 30-percent commission has been criticized as anti-competitive by Spotify, especially after the launch of Apple Music. Most streaming services sold via the App Store have passed on Apple’s 30-percent cut to consumers. This means that a typical $9.99 subscription will cost $12.99 if you subscribe in-app. Other services, like Spotify, has turned off in-app subscriptions altogether. Why this matters: The immediate impact of this is that an App Store subscription to Hulu and Netflix will be lower, but still a little bit more expensive than subscribing elsewhere. 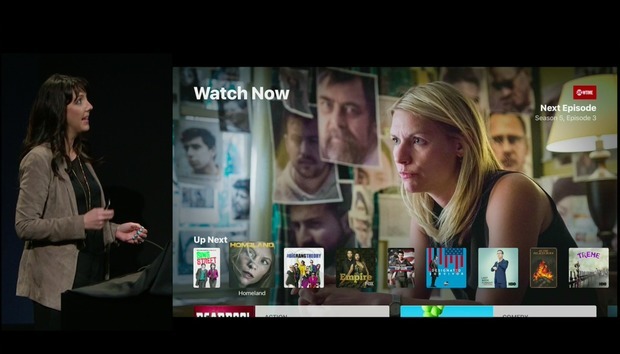 It also points to the importance of video partners to Apple’s new TV strategy. Services like App Store revenue and Apple Music subscriptions are a fast-growing business for Apple, after declining iPhone sales. So, the fact that Cupertino is willing to accept a lower commission (and perhaps lower revenue marks at the end of the quarter) to appease video partners means that Apple is betting on its TV app to kickstart a service that might compensate for that loss in the future.